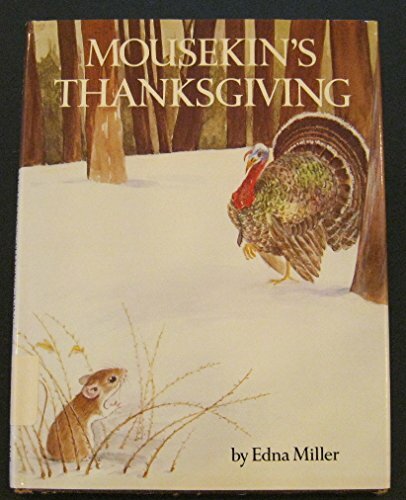 Mousekin and his forest friends struggle to survive the winter together with a wild turkey. PreSchool-Grade 3 In another cozy installment in the "Mousekin" series (Prentice-Hall), bright-eyed Mousekin rushes from animal to animal searching for the mysterious creature who has eaten his winter food stores. The happy ending shows a wild turkey digging up food for Mousekin and his friends. Muted watercolor wash drawings capture the quiet atmosphere of the forest at the time of the first snowfall. Miller gently conveys accurate information about nature while she tells a good story. A read-aloud for the whole year, not just Thanksgiving. Kathleen Odean, San Rafael Public Library, Calif.